​Andreas holds a PhD in Political Science from Bilkent University in Turkey. From 2013-2016 he was an assistant Professor at the Department of International Relations at the Zirve University in Gaziantep Turkey. He was also the 2017 Scholar-in-Residence at the Clark Center for Global Engagement and a visiting instructor at the International Studies Program at the State University of New York (SUNY) Cortland. His research interests include international conflict and international negotiations, while much of his recent work has focused on refugee integration and service provision in crisis situations. Andreas is also a professional trainer, and, on several occasions he has acted as a facilitator on track-II and multi-track initiatives. In his spare time, he enjoys playing chess with his son and daughter. Areas of interest/expertise: refugee integration, human rights, Conflict resolution, Middle East politics. Jone obtained her PhD in Law in 2017 with her thesis focusing in proposing how multiple and intersectional discrimination victims can be protected under EU law from the University of Deusto (Bilbao), Universidad Pontifícia Comillas (Madrid) and Universidad Ramón Lull (Barcelona). She also holds a Masters degree in research from these Universities, as well as a Degree in Law and a diploma in Economics. Before joining The People for Change Foundation she was a Legal Policy Analyst in the Migration Policy Group (Brussels) in the anti-discrimination programme. Jone has also been a Study Visitor at the Fundamental Rights Agency (Vienna) and for a number of years has been an assistant researcher at the University of Deusto, where she also performed as a lecturer. She has extensive editorial experience and is author to many research pieces. Her research interests focus in equality and non-discrimination, diversity, integration and migration in the EU and its member states. In her spare time she loves to cook, read, any water sport and above all discovering places, people and culture. Areas of interest/expertise: Human Rights, EU, equality and non-discrimination, hate-crimes, hate-speech, diversity, integration, migration. Beth holds a Masters degree in European Union Studies from Newcastle University and a Bachelor’s degree in European Studies with French and Spanish from the University of Aberdeen in the UK. Her professional experience includes a traineeship at the European Commission, working on EU-Turkey Relations covering a variety of topics from migration, freedom of expression, terrorism and security issues. Most recently, she was working with the Maltese Public Employment Service, on EU Affairs. Her university work concentrated primarily on EU enlargement with a focus on the Western Balkan countries as well conducting work on minority groups such as the Roma, and the refugee crisis. Beth’s personal interests include foreign languages, travel, creative writing, environmentalism as well as local and international politics. Areas of interest/expertise: human rights, migration, employment policy, labour market integration, European Union politics and EU enlargement. Kiia holds an LLM in Public International Law with specialization in International Criminal and Humanitarian Law from the University of Oslo and an LLB in European Union, International and Comparative Law from Tallinn University of Technology. Her Master thesis focused on the EU’s complicity in human rights violations of migrants in Libya. Before joining PfC, Kiia volunteered in a human rights office in Cape Town offering free legal aid and took part in a refugee care project in a small village in Southern Italy. Kiia is passionate about international human rights law, victims’ issues in international justice and issues related to migration. In her spare time Kiia enjoys traveling, discovering new cultures and learning how to cook. Richard holds an LL.B in International Law and is currently writing his Thesis for his LL.M in International Law and Global Justice whilst also studying the Erasmus Mundus Joint Masters Degree in International Humanitarian Action. Richard’s LL.M thesis concentrates on EU external relations law and he intends writing in the future on the vulnerability of the gendered refugee. Richard has a strong understanding of EU law in an international context and has volunteered his skills with several organisations, assisting failed asylum seekers in the UK, providing initial support on the Greek islands and providing support to a small NGO based in Athens. Richard’s personal interest include EU/UK politics, fitness, travel and cooking. Martina is a recent graduate from the University of Southern Denmark and holds an MSc in International Security and Law. Her research focused on segregated education as a threat to the security of Bosnia and Herzegovina, considering the nexus of education, identity and societal security. Through her Masters thesis, which focused on an ethnically divided educational system, she came to a good understanding, that the key to a better future lies with youth. Before joining PfC, Martina volunteered at the Danish Red Cross, and as a member of United Nations Youth Association of Denmark she participated in activities that engage and bring awareness to international development and humanitarian issues related to the work of the United Nations. In her spare time she enjoys running, traveling, discovering new cultures and reading. Carol Bohmer, a lawyer and sociologist, is a Visiting Associate Professor in the Government Department at Dartmouth College, and a Teaching Fellow at King’s College, London. She has worked extensively in the area of law and society, examining the way legal and social institutions interact, in the United States, the UK and elsewhere. Her current research interests are in the field of immigration and asylum. She also does pro bono legal work for asylum seekers. She has been involved in setting up a project to register children as British citizens in London, UK. Her most recent book is Rejecting Refugees: Political Asylum in the Twenty-First Century with Amy Shuman, (Routledge, 2007), a comparative study of the asylum process in the US and the UK. Patricia Mallia obtained her law degree from the University of Malta in 1999. Her post-graduate studies were carried out at Oxford University where she graduated in Bachelor of Civil Law (BCL) in 2000. She then returned to Malta to lecture in Public International Law at the University of Malta where she is now Head of the International Law Department. She obtained her PhD from the IMO, International Maritime Law Institute, focussing on combating contemporary threats to maritime security. Her research interests focus on the analysis of contemporary maritime threats, primarily piracy and migrant smuggling. Her book, ‘Migrant Smuggling by Sea: Combating a Current Threat to Maritime Security through the Creation of a Cooperative Framework’ was published by Martinus Nijhoff in 2010. 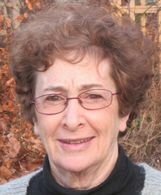 In her free time, Patricia enjoys tennis, swimming, baking and reading.